Beware of the Hidden Mega Resort! 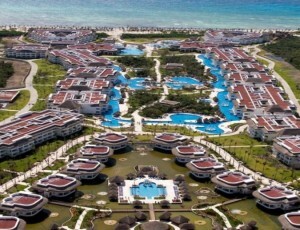 Looks like a beautiful Resort, But beware, it is larger than you think! I am finding a disturbing trend in the resort industry. It’s been known for awhile now that most people don’t really like a resort with 2,000 plus rooms in it. In fact the perfect maximum size seems to be between 6-750 rooms. If you find a resort with say 1-200 rooms, many people would expect to pay a premium for this type of location. This is creating a dilemma for the resort operators that want to have as many people as possible per square metre of ground space as this means maximum revenues can be achieved. So what is “their” solution? It seems the trend is to still put up these mega resorts, but to simply divide them into smaller sections called … wait for it … Resorts!! 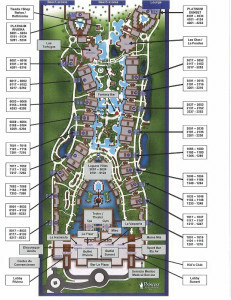 That’s right; they have a layout of say 2,000 rooms, running down to the beach. It has a centre pool area and specialty restaurants at the top and somewhere near the bottom. You know the ones I am talking about. Here is the Steak, the Italian, the Japanese, the Seafood, etc. So here is what is happening. All the rooms to the left of the pools are called Resort “A” and the ones to the right of the resort are called Resort “B”. Now they can advertise a resort of 1,000 rooms instead of the 2,000 rooms. But wait, it gets better. This number is still too large for that magic figure, so they take the rooms closest to the beach and make them Premium and … you guessed it, these are now another Resort. Let’s say “C” and “D” of 250 rooms each. These rooms are usually “Adult Only” and come with Premium drinks a private small, sometimes very small private pool area and so on. You are looking at 6 different resorts when advertized to you. The problem is that this is all true except all of these services are being shared and sought after by 2,000 room guests or say 4,500 people. And a seat by the pool or beach. Any experienced traveler knows in these situations, that if you have one person in your party that is an early riser, they are elected to travel to “your” spot and claim your chairs for the day with the old towel and book routine. But, we, as innocent travelers arrive at our 750 room resort with all of the restaurants and amities, do not feel the need to rush down and select your reservations for the entire week and guess what happens? You are at the buffet for most of your trip, you missed the lobster that you saw in the picture and it takes you 4 days to figure out the towel and book routine. Of course, the Premium section does not have to go to the main guest services to book the restaurants. They have a special number to call or a private guest services that will either book the restaurants for you or in some cases, sometimes depending on your tip in advance, will watch for a cancellation and get you in whatever night you want. So, what do we do about all of this? Can we boycott it and expect it to change? On a trip I took last year to Mexico, this really became apparent to me and started me on this research. I called the resort and they said this is normal business, I called the tour operator and they said they cannot check on the facts sent to them from every resort and have to assume they are telling us the truth. Well, that was a year ago and you will still find the same resorts advertized as smaller ones. With a very small amount of work, it is easy to figure out. The resorts do not hid it once you are there, so if you find pictures people take of the resort maps, of the names of the resorts as you drive in, you will pick up on this. 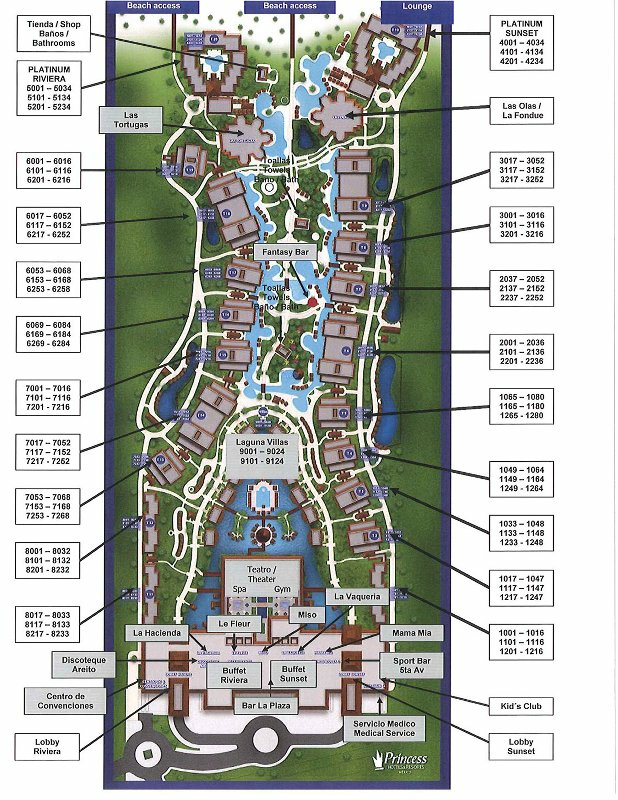 As well all most any resort built more than 10 years ago is most likely a single resort. It is the newer ones that are constructed to take advantage of this. To give you some examples of this, and yes, I know you are waiting for this part, let look at the Majestic / Colonial resorts in Punta Cana of an example of this done right. Here they have two resorts next to each other. I say next to because everything advertized as being in one resort is in that resort. There are no ads to my knowledge where they include any restaurants from the sister resort. They have the Colonial and the Elegance resorts. Each has its own pool areas, their own restaurants, etc. but you can walk from on to the other easily. Once you arrive, you will discover that most of these are shared between over 2,100 rooms. To me, this just does not seem right and YOU need to be aware of this beforehand. What can we really do? Check out the resorts. 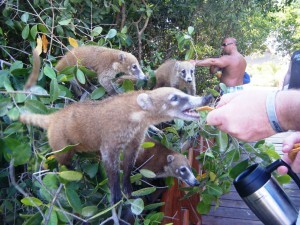 I strongly recommend that you read the reviews I have posted here at http://StevesTravelBlog.com and everyone’s reviews at TripAdvisor.com Spend one hour researching the Resort, not for what you want, but what you now know you do not want. Ask questions on blogs and you usually will receive answers quickly. I hope this has helped you have a great upcoming vacation. Yes, that is my hand and I was being a “Crazy Gringo!” but having fun at this huge resort. On a final note, I am not saying that you will not have a great time at these resorts. Most people have an awesome time, I just want you to get what you pay for. I would guess that up to 80% of travelers go for the fun in the sun, the more the better and only go indoors to grab a bite at the buffet and to sleep. It is for the ones that enjoy the extras and the atmosphere expected that may experience disappointment without this information. 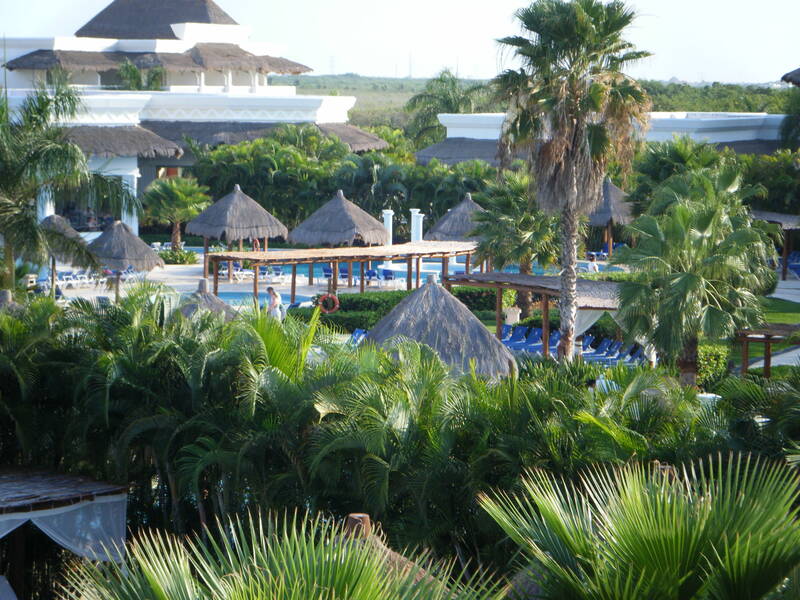 At the Resort(s) I am talking about in this article, the staff were all fantastic. Enjoy, travel well, and I just might bump into you somewhere this spring season.